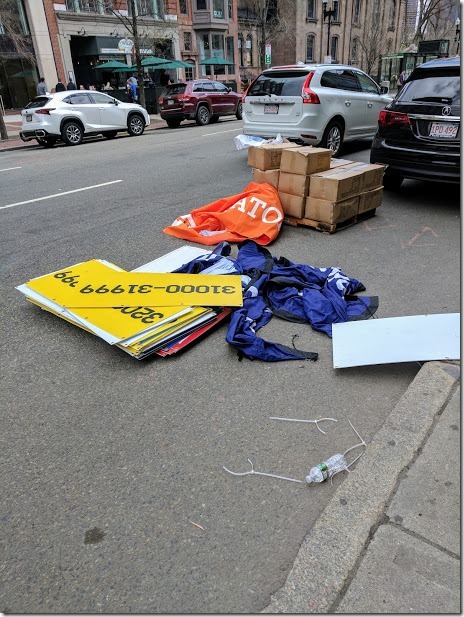 I was sad to walk around Boston on my last day and see all the race stuff being torn down. I didn’t want it to be over (well, I wanted it to be over around mile 19 of the race but I didn’t want all the fun to be over!). I was happy to see SarahFit and her little one Tommy though! I love when I can meet up with my blog friends while traveling. I feel like I’m so far from all my east coast people and everyone’s having fun without me. I used to have a girl crush on Sarah and now she’s my friend so that’s kinda weird, right? Don’t tell her. Now I have a baby crush on Tommy – he’s so cute! 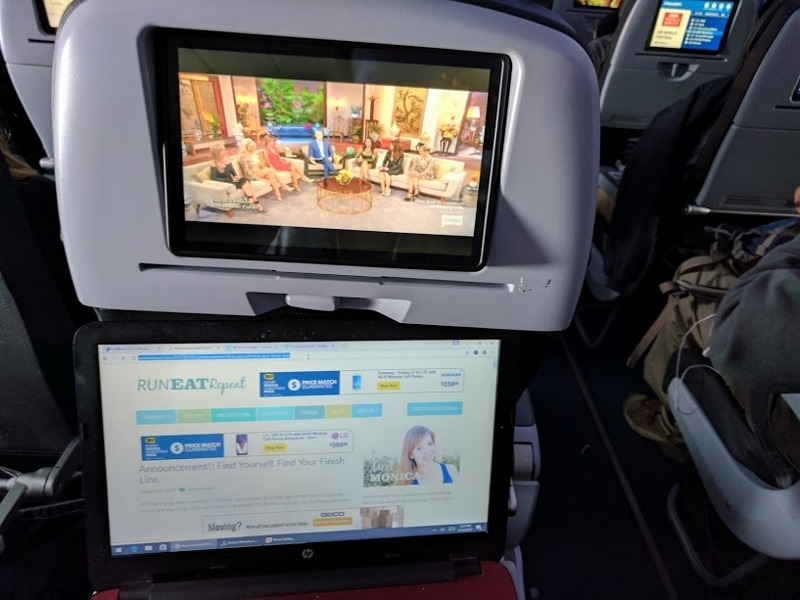 First – I think I am the most productive while on a plane. It’s like a library where I can wear headphones and listen to random TV at the same time. Then, someone comes by and gives me a snack! It’s the best! 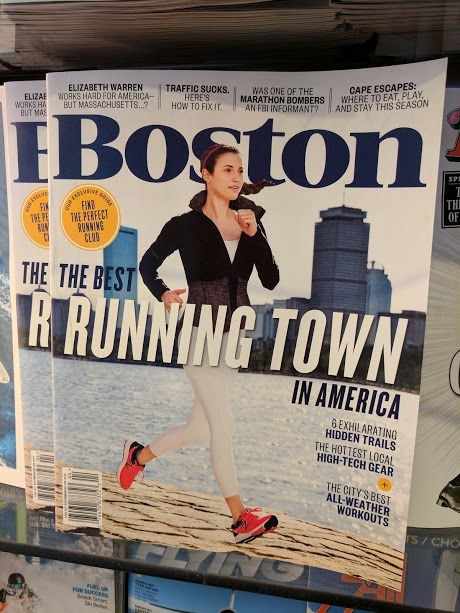 I saw this magazine at the airport – Boston is the best running city? I would have guessed San Diego. 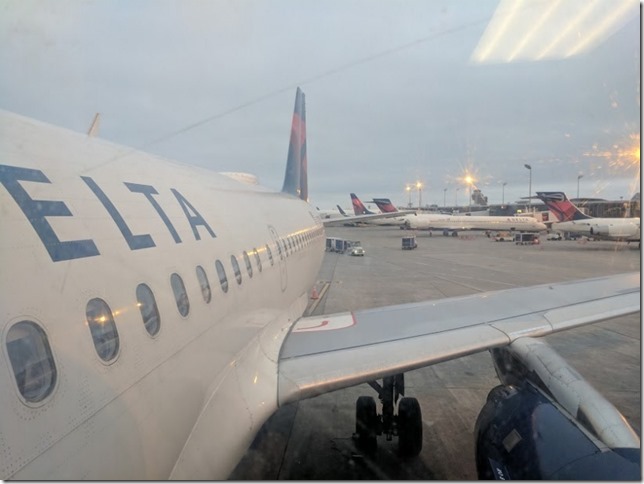 I had a layover in MSP on the way home. I thought MSP was short for Mississippi but turns out it’s Minneapolis – St.Paul. This is what happens when you’re from California – you don’t know anything else in the US except Las Vegas and New York. 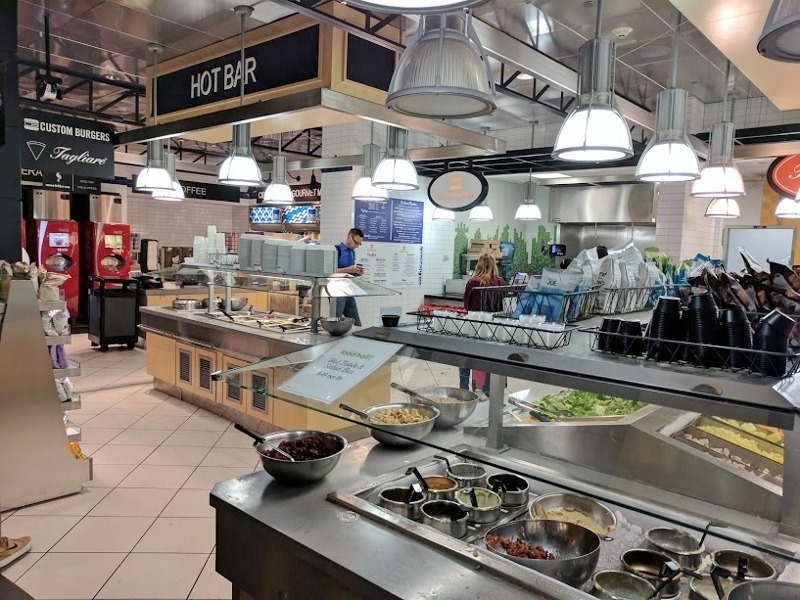 Anyway – I spotted a Salad Bar and Hot Foods Bar at the airport. Perfect! Plus, I had been eating super expensive Whole Foods twenty dollar salads all weekend so the airport prices seemed reasonable. 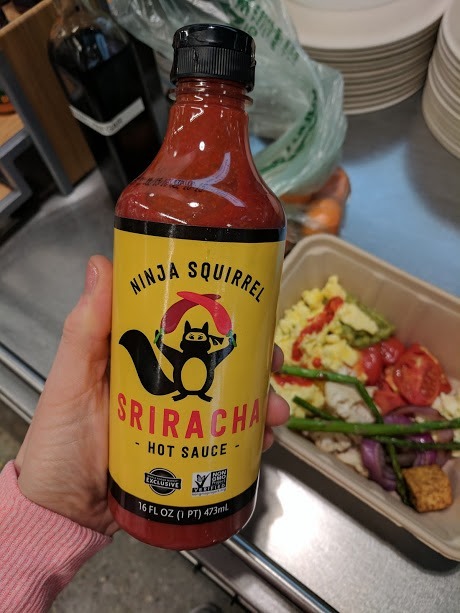 Speaking of Whole Foods… I tried this Ninja Squirrel Sriracha at their condiment bar. I hope it’s made with organic free range squirrels. 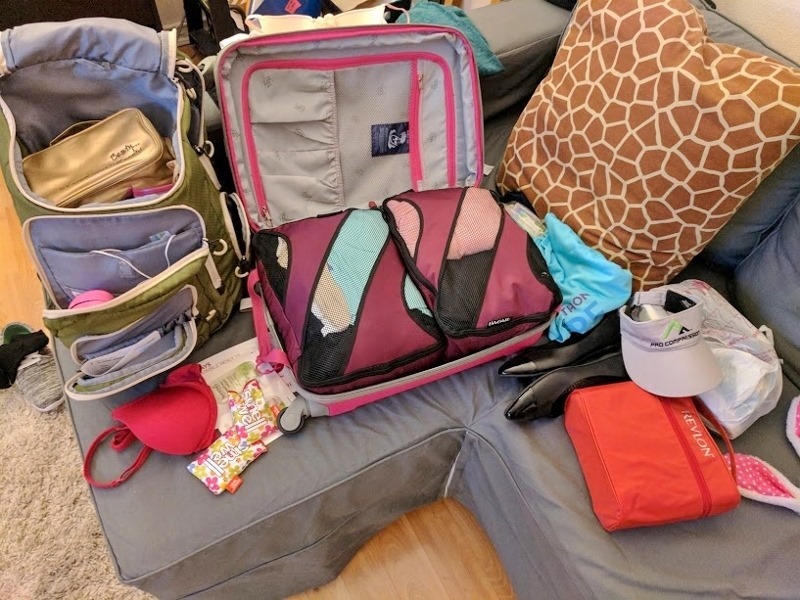 When I got home I unpacked first thing the next morning because all my running clothes were sopped in sweat and just marinating in grossness. 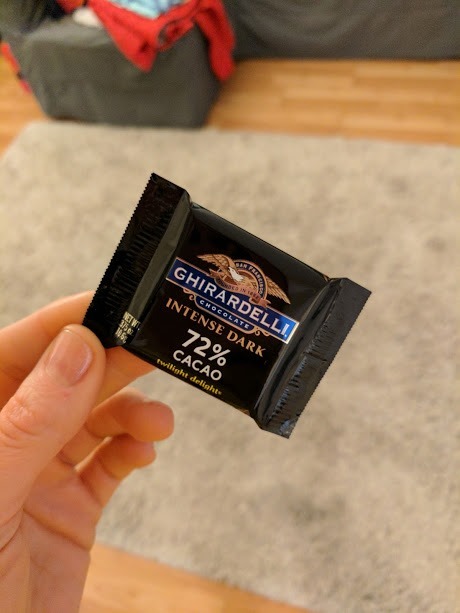 I randomly found a piece of chocolate in my toiletries bag. I have no idea how or when it got there. Ha! Chandra and I did hit up Ghirardelli but I thought I ate all the chocolate I got. I felt pretty good the day after the race. I’m not sore but feel like my legs are a little tired. 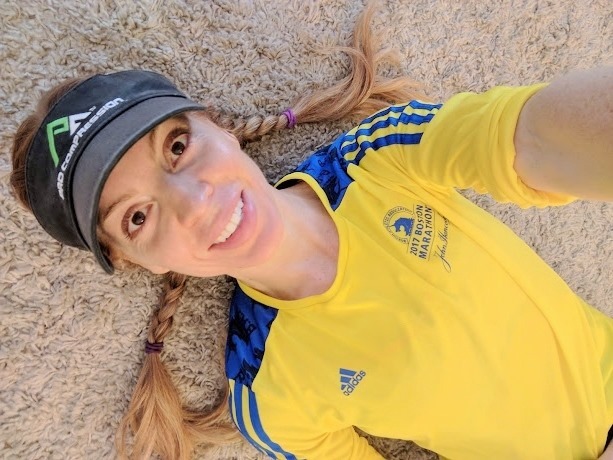 I did a shake out run yesterday morning in my Boston Marathon shirt – this is the tee they give you with race registration! Fancy. I need to recover pretty fast because I have three races coming up in May! 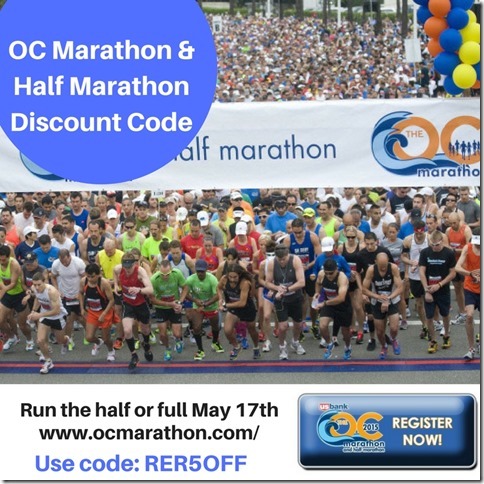 I think the OC half / full marathon is on the list. I’m still deciding on the distance for that one. Anyway – I need to recover quickly so I decided to get a massage to help rub out any tight areas. 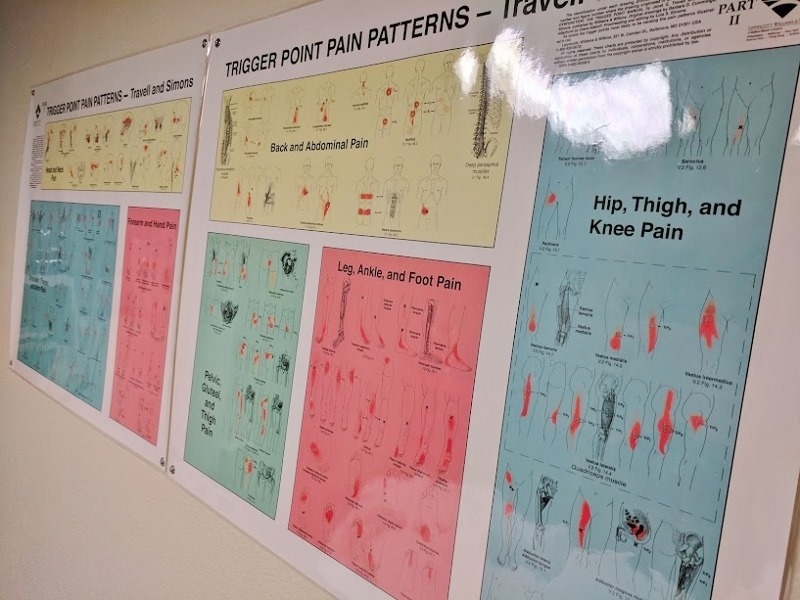 I went to a new massage place and the massage therapist does some trigger point therapy. Oh wow. It was probably the most helpful massage of my life. For the most part was amazing – it hurt a little on my IT band and I got super stiff and she kept trying to get me to relax. It was funny because I would relax and then get stiff as a board and repeat. 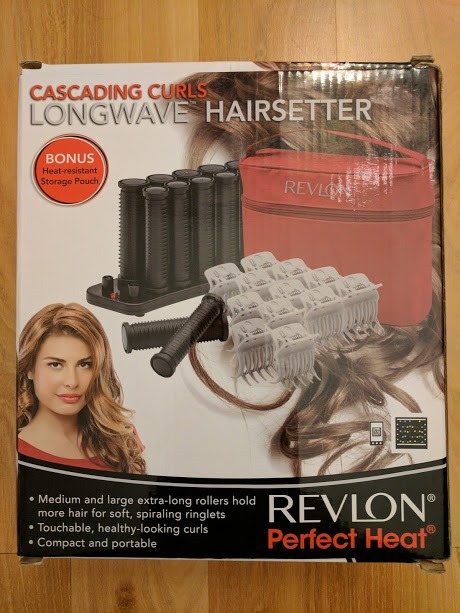 It’s exactly what I needed!! 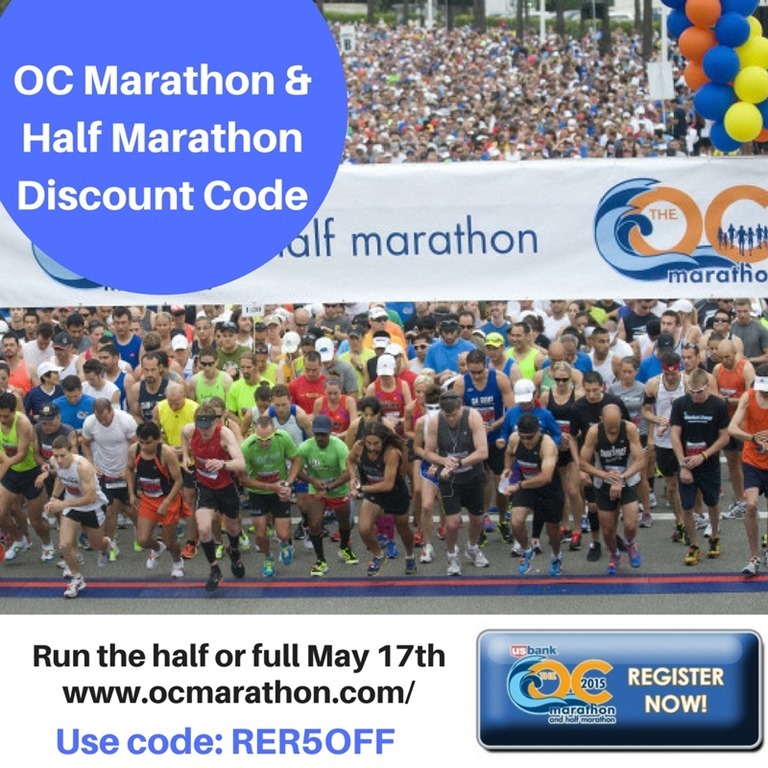 I am 100% going back after my next race. 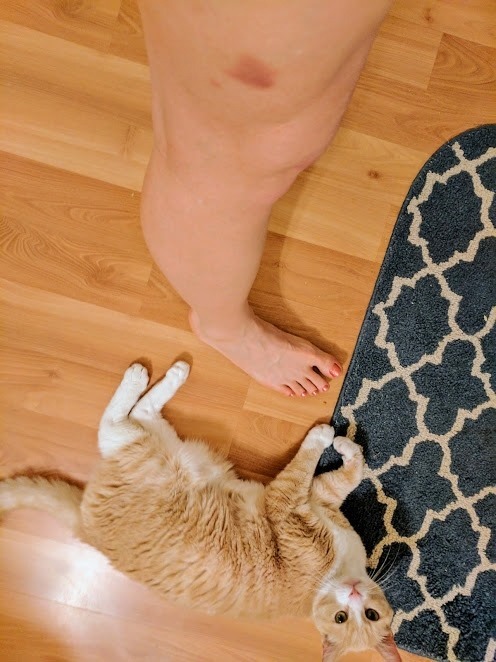 Also weird… I had this bruise pop up after the race but the massage made it a lot darker. 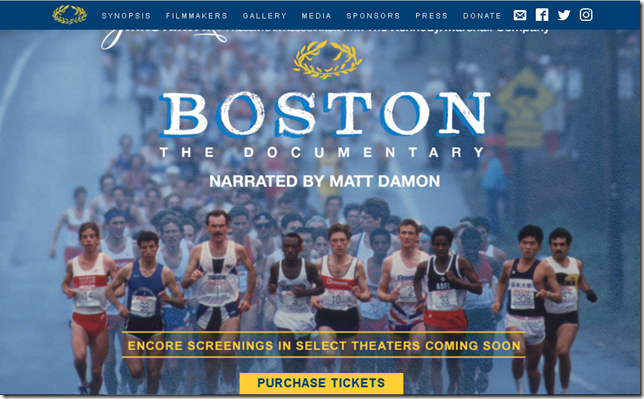 And last night the Boston Marathon documentary was released for one night only. It was a special release and the movie was shown throughout the country. There will be encore presentations and hopefully it will be available online soon! Check out that link for more info. I liked the movie and would watch it again. 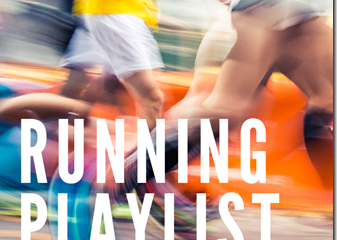 It’s mainly about the history of the race, noteworthy years and runners. It covers the bombing, honors the victims and how we can move forward from that too. That part is very touching, sad and inspiring. There is a lot of footage from way way back in the history of the race – black & white video of the runners and a lot of noteworthy winner interviews. The history and love for this race is like nothing else in the running world. Carb-loading for a movie about a marathon is necessary right? I love movie theatre popcorn! Gimme all of it. 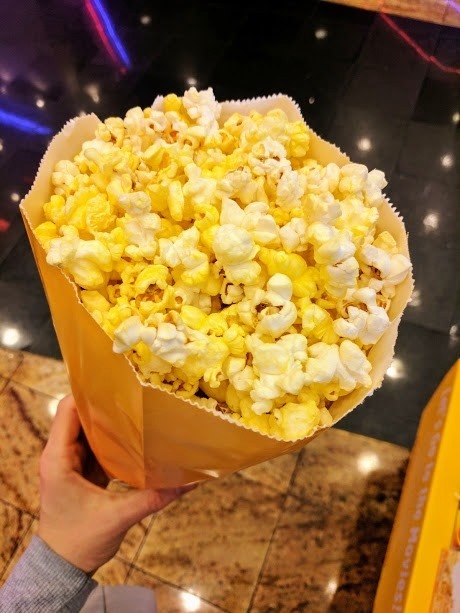 I can legit eat a LARGE popcorn by myself with a coke zero and a refill of coke zero thanks. *Updated to add – as I’m writing this post I just heard the news say diet soda is linked to dementia. F word. I don’t care about diet soda being bad for me – but I am oddly scared of Alzheimer’s and dementia. I say oddly scared because it doesn’t run in my family and I didn’t cry when I saw The Notebook. Anyway. Sh!t. I might have to shut it down and stop drinking my favorite poison. Boo. 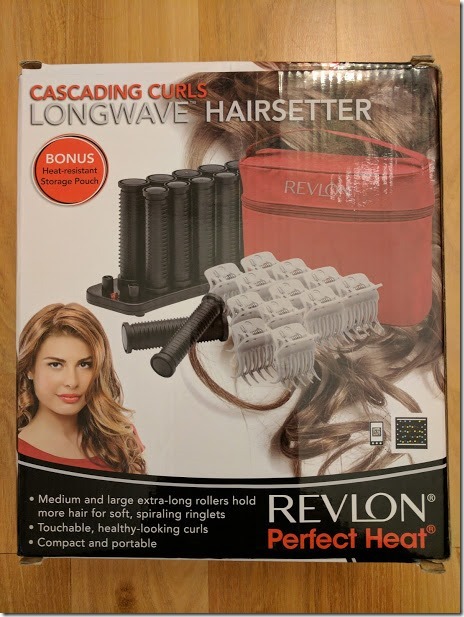 For those that asked – these are my new hot rollers. 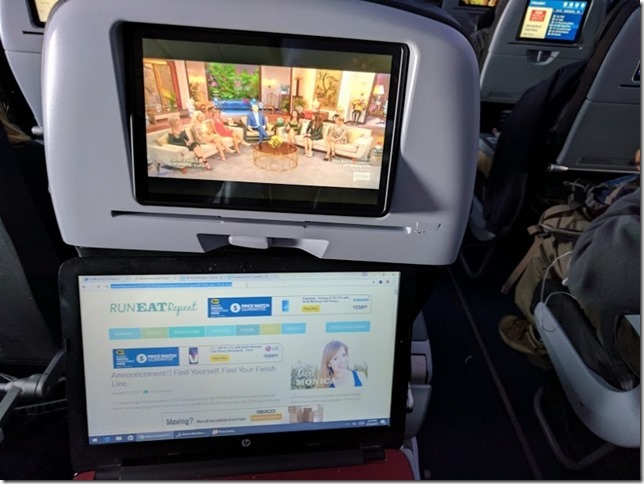 Running Tip: If you’re traveling for a race and need to check your bag consider putting a packing pod with your running clothes/shoes in your carry-on. It would be very rough if your luggage was lost and you didn’t have your running shoes and clothes. 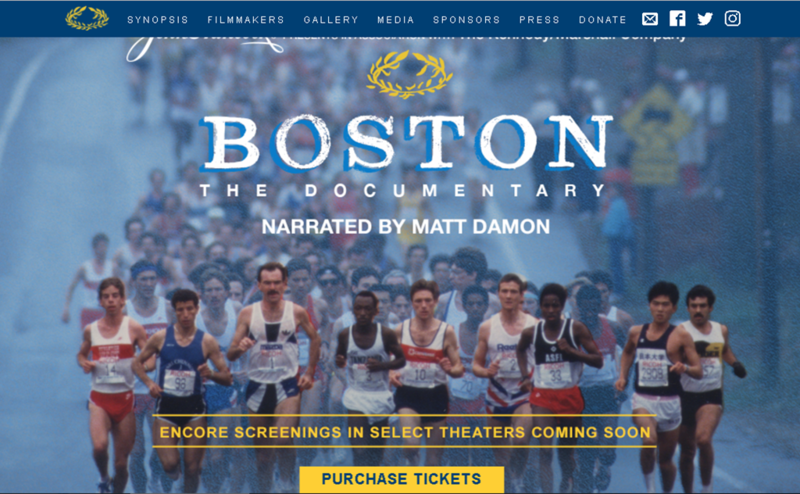 Question: Did you see the Boston Marathon documentary? What was the last movie you saw? Was it good?? I’m digging the packing pod idea! 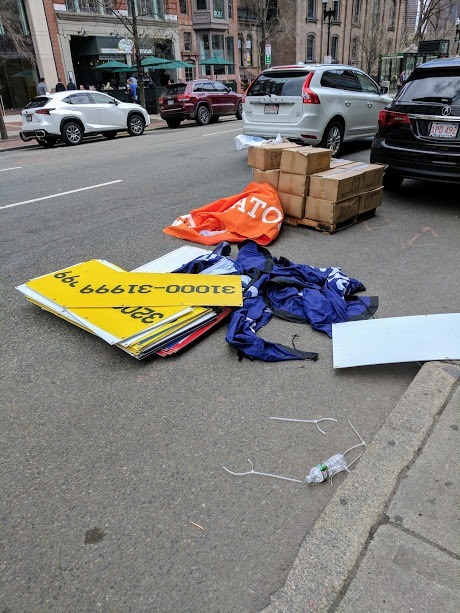 Boston Marathon weekend looked amazing! This week it’s the London Marathon, and as a London-based runner it’s pretty much my carnival! I won’t be running because 1. I didn’t get a ballot spot and 2. I broke my ankle, but I’m so so excited to support all the runners I know who’ll be taking pat! 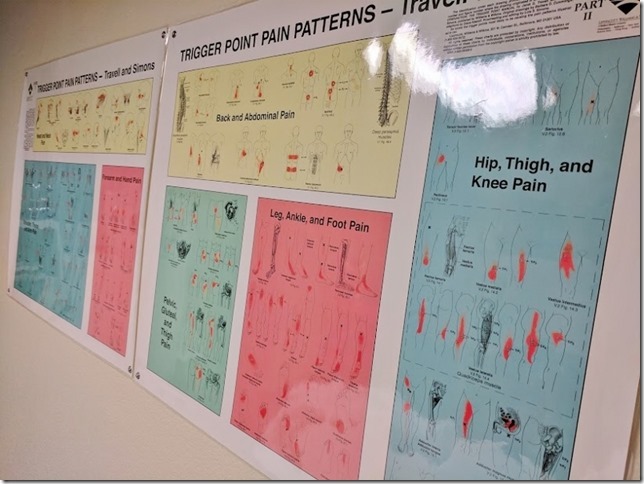 Dude, you weren’t sore after running Boston AND you have 3 races coming up in May? You are a badass. I love getting a massage after a race! I live in MSP! Yes, you definitely have to stop the soda drinking! 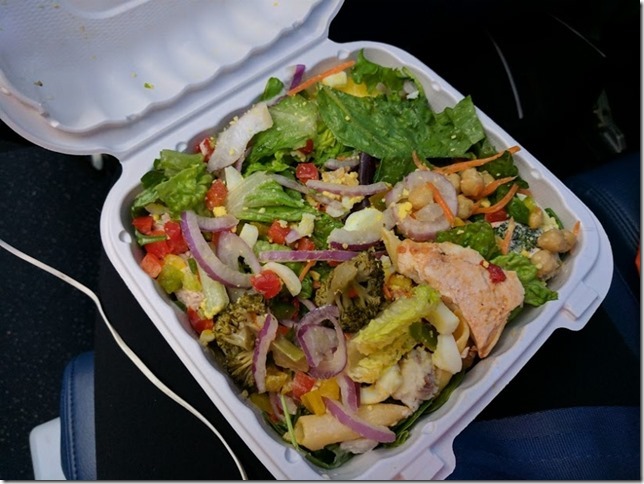 You ask a lot of your body, fuel it with care!!! 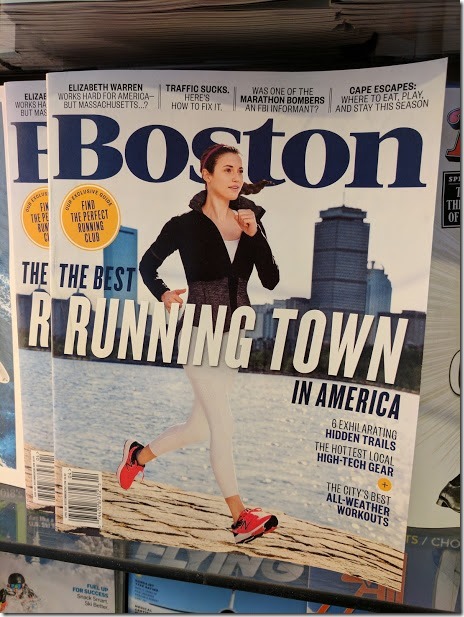 Love the Boston Marathon tee. One of these days I hope to be wearing one also! I did not get to see the documentary, but I am hoping it will be available online or shown again somewhere soon. Sounds like it is definitely worth seeing. 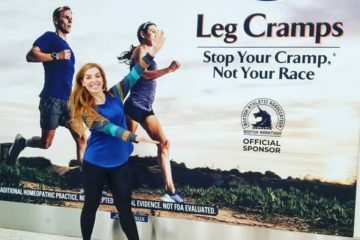 I can’t imagine running one race let alone all that you do! amazing! I have not seen that documentary. 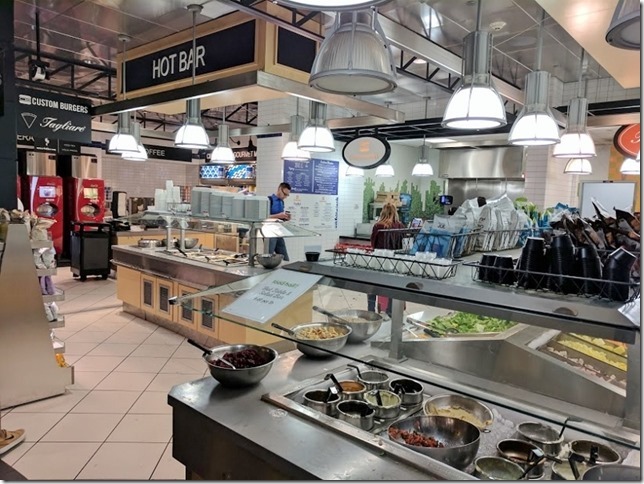 A hot bar in an airport? I’m going to need to make sure my next layover is there! Welcome home! Sriracha made of… what? What did it taste like? What on earth…?